This post is a must-read for ocean lovers! Despite of being known as "FiSh" in this blogosphere, I actually have phobia towards water. 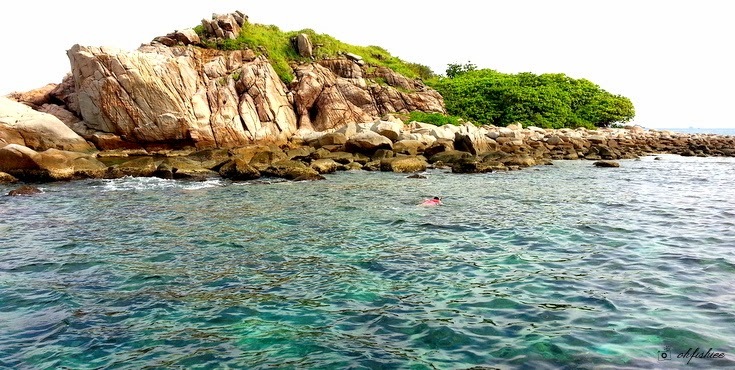 But that doesn't deter me from my first snorkelling experience at Redang Island. 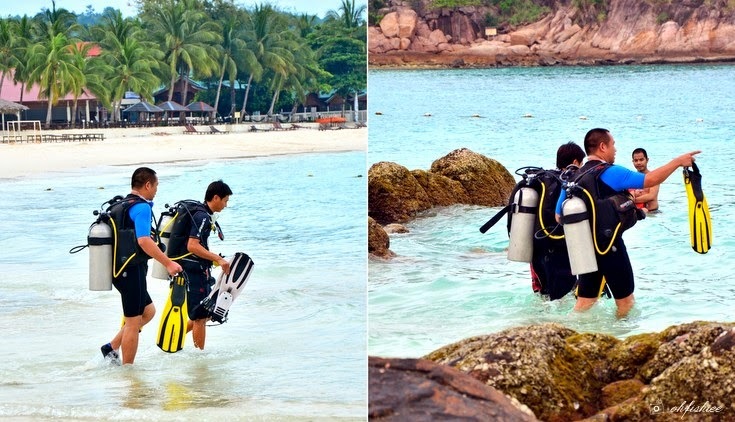 My 3D2N package at Laguna Redang Resort includes 3 snorkelling trips--- 2 in deep sea, and 1 in marine park. 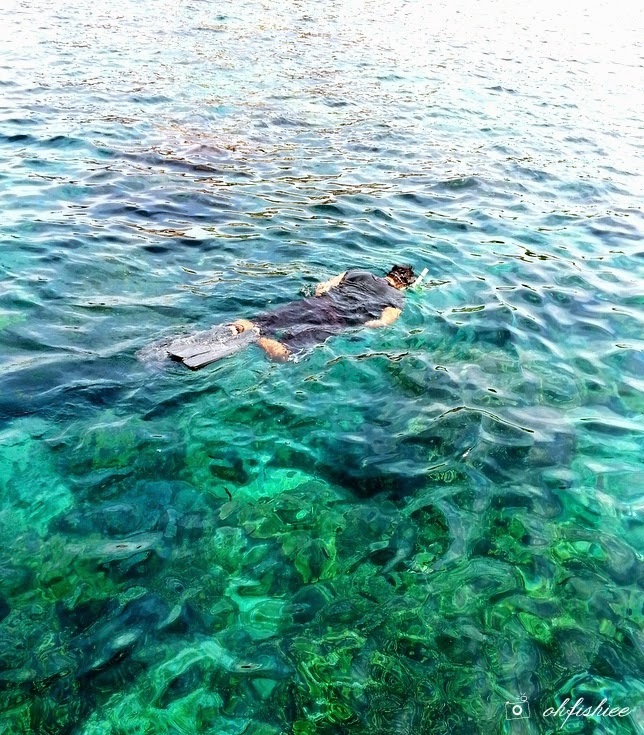 At Laguna, there are 2 snorkelling sessions everyday- 9am and 3pm. 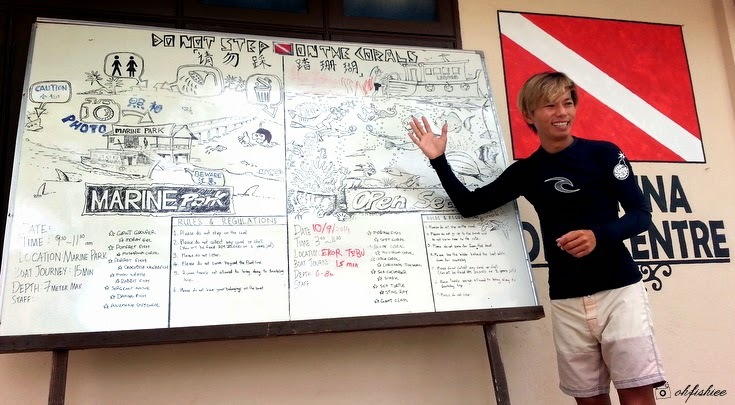 Before departing via a motorboat, we gather at the resort's dive centre and have a short briefing on the Do's and Don'ts while snorkelling. My first open sea snorkelling experience falls at Ekor Tebu, a 6 to 8 metre deep ocean with abundance of fishes and corals. A short 15-minute boat ride brings us to the middle of the ocean, and we can start snorkelling there. For non-swimmers and first timers, remember to wear life jacket and grip well onto the snorkels. Our professional instructor is searching for a nice underwater spot for pictures. 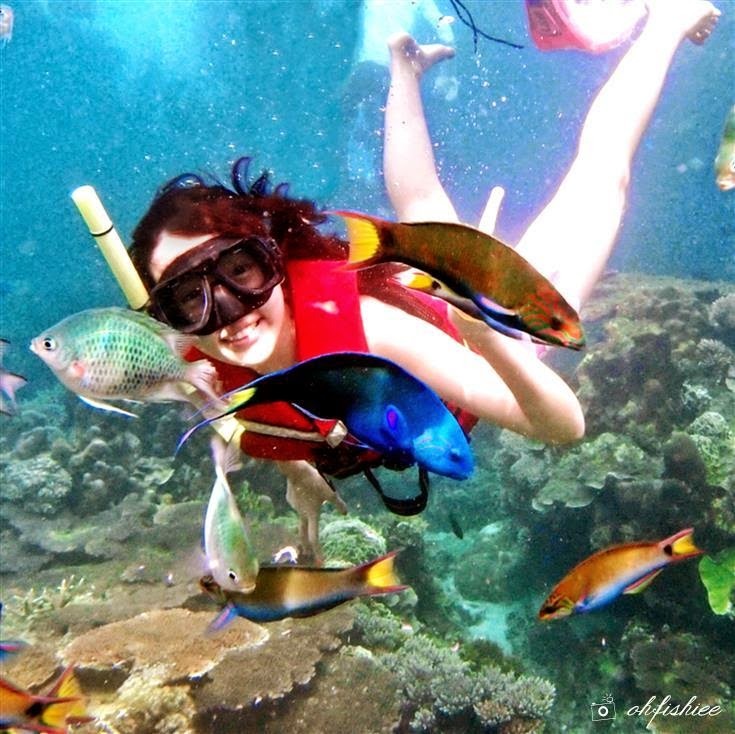 Each deep sea snorkelling trip is around 2 hours, excluding boating trip. 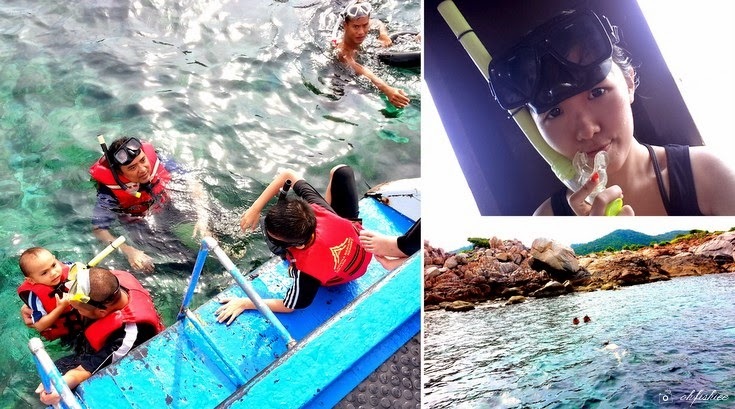 I think it is sufficient to explore the place and take all the pictures you want, especially if you rent an underwater camera from Laguna Resort at RM100 per day. 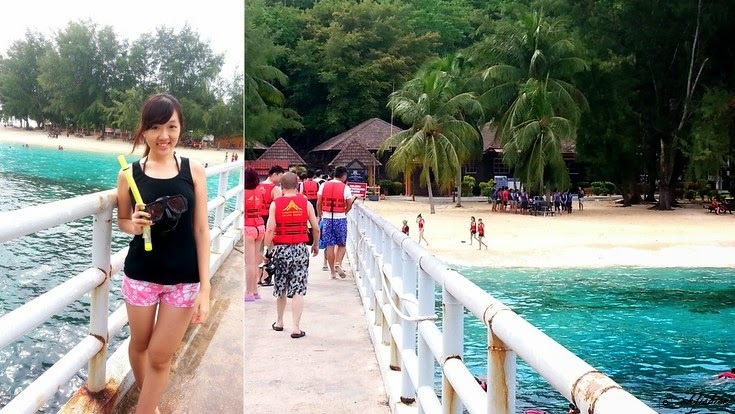 On the second day, we head to Pulau Redang Marine Park for another round of snorkelling trip. 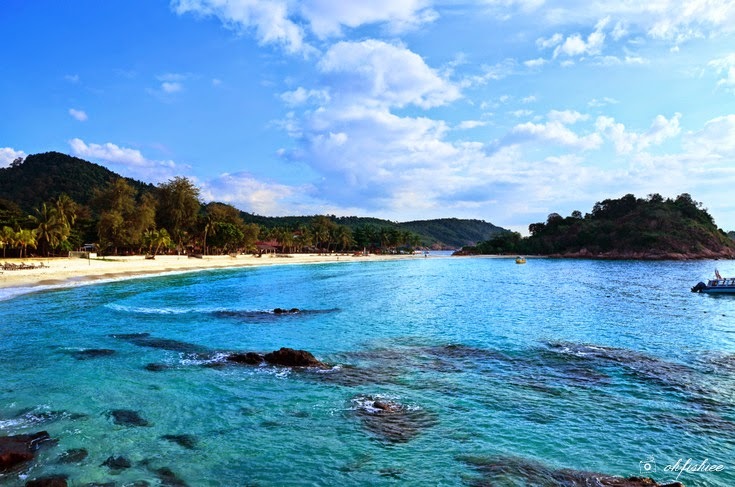 It is a protected area with long stretch of beautiful pristine world-class beach surrounded by crystal clear waters and numerous dive sites for enthusiasts. during the midday when sun rays penetrate the sea. Picture courtesy to my new friend from Redang, using his GoPro Hero3+ camera. Returning to the Long Beach in front of Laguna Resort, there's no particular private stretch for this resort but you can go for snorkelling by the beach itself. Don't be surprised if you meet clownfish (Reminds me of Nemo!) and baby shark deep in the sea! 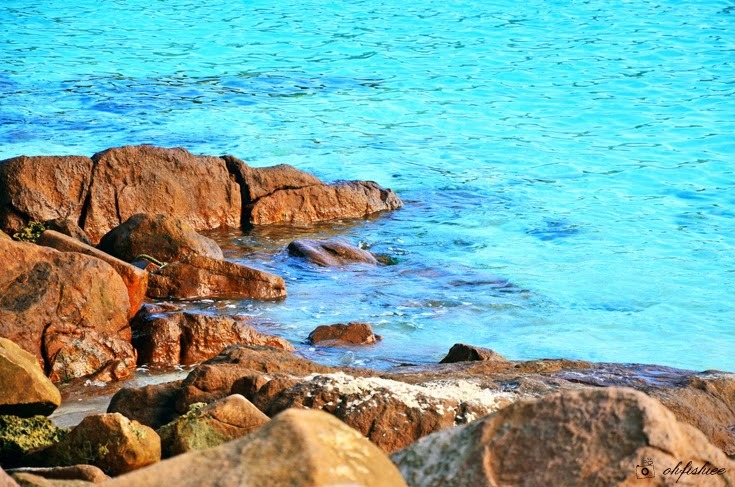 The sea and its underwater charm makes Redang a perfect destination for snorkelling and scuba diving. 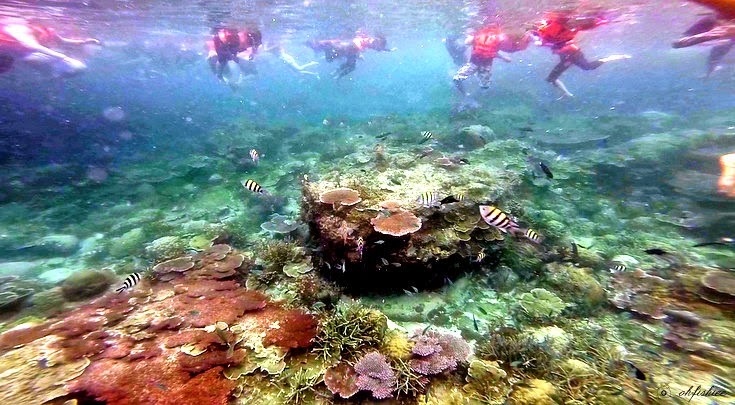 Open sea is the best spot for colorful corals, whereas marine park is a great enclave for colorful fishes of various species. 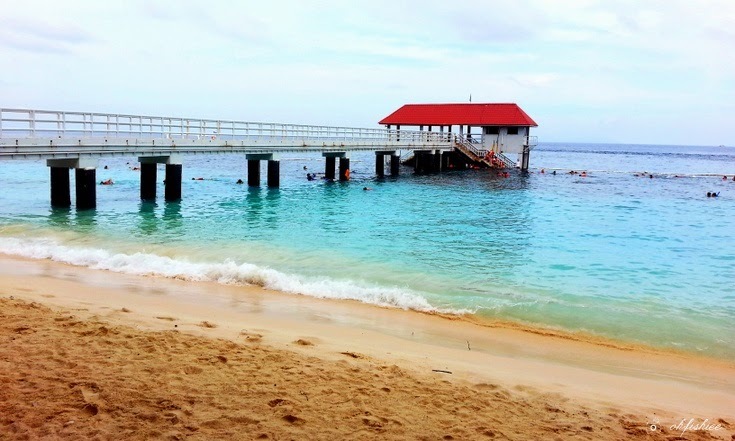 With a full-board resort like Laguna, you'd have to expect your snorkelling trips to be memorable as they know the correct spot for fishes, corals and even baby turtles! I'll definitely return and make this place my first choice. Hi Henry, you mean the first picture? It is taken by the photographer from Laguna using his Olympus camera. waaa so fun! how much isit? so cheapppp??? include food aand accommodation? Hi, how do you know the promotion price? Through email enquiry? Amazing place...like to visit that someday!